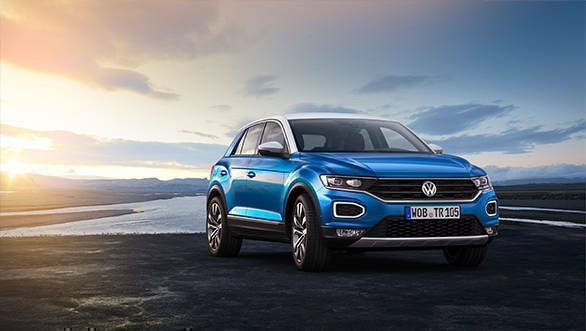 The T-Roc is an all new compact crossover by Volkswagen (VW). It will be positioned below the Tiguan in the company's SUV range. The T-Roc, when launched in November in Europe, will be placed in the 20,000 (Rs 15 lakh approx) class segment of the German market. 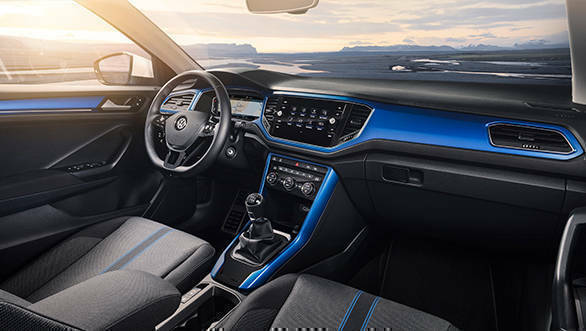 This 5-seater compact SUV is VWs fourth SUV and is based on the MQB platform, which it shares with its bigger siblings; the Tiguan and the Teramont. The T in the T-Roc's name bides by VW's SUV nomenclature while the 'Roc' simply means 'rock', indicative of the SUV's off-road abilities. 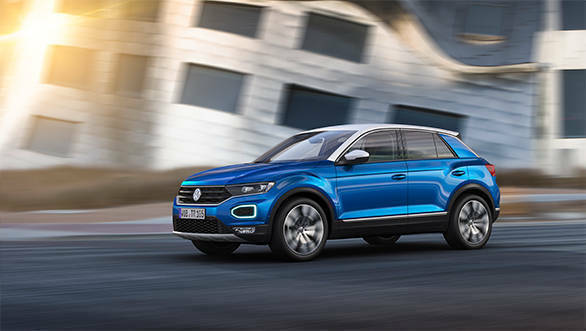 The Volkswagen T-Roc will be offered with three turbo-petrol (TSI) and three turbo-diesel (TDI) engines with a choice of front-wheel drive and a manual and front-wheel or 4motion all-wheel drive with the 7-speed DSG. The entry-level car may have the 113PS 1.0-litre TSI along with the 148PS 1.5-litre TSI and top of the line 197PS 2.0-litre TSI. The diesel lineup is expected to get the 113PS 1.6-litre TDI and two state of tunes of the 2.0-litre TDI producing 148PS and 197PS. The T-Roc may also have a R version at a later stage with as much as 300PS of power, courtesy of a 2.0 litre TSI. 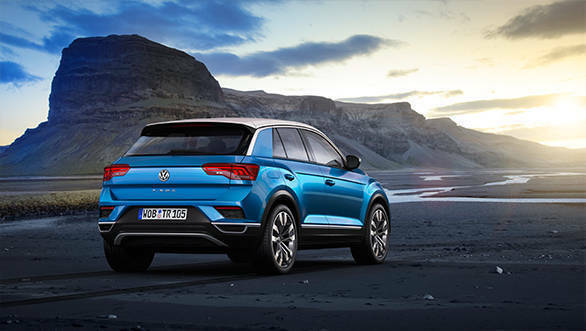 The T-Roc will be the first VW SUV to sport a two-tone paint scheme. The T-Roc is 4,178mm long, 1,819mm wide and 1,573mm high with a wheelbase of 2,603mm. It sits lower than the Tiguan at 170mm. 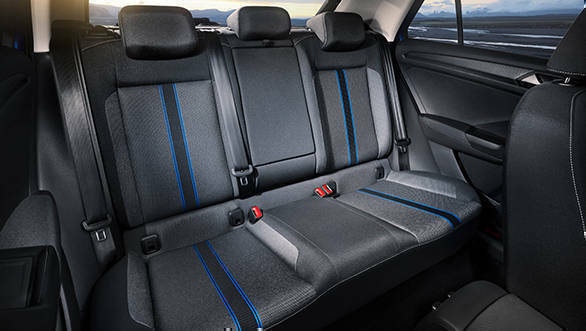 Intelligent packaging techniques of the MQB platform give the T-Roc a boot space of 445 litres, which can be expanded to 1290 litres by folding the rear 60/40 split seats. The radiator grille of the T-Roc is wide with the all LED headlamps flanking it. The roofline is accented by a chrome strip and gives the T-Roc a coupe-like silhouette, which leads to a sloping tailgate. The rising shoulder line ending in the high set tail-lamps give the T-Roc a squatting stance. The instrumentation console gets an optional Active InfoDisplay that has a 11.7 inch screen which displays contextual information along with digital dials. The infotainment system can have a touchscreen in sizes upto 8.2 inches. Pair your smartphone and you are presented with a wide spectrum of services, right from integrating you media library to using Volkswagen Car Net to access apps and the web. Under the security and service package, features like emergency service, automatic accident notification and roadside assistance help you establish contact with the outside world in case you there arises a situation. Additionally Apple CarPlay and Android Auto and wireless phone charging can also be opted for. There is also an optional Beats stereo and a panoramic glass sunroof. Key advanced safety systems like pedestrian monitoring, front assist area monitoring with emergency braking, auto post collision braking and lane assist are standard across all the trim levels. Also standard are the LED-tail light cluster, LED DRLs and a visual underbody guard. Will the T-Roc come to India? There certainly is a market here for SUVs with even manufacturers like Jeep bringing in India-specific products. Given that the MQB-based Tiguan is here, it could only be a matter of time before the T-Roc too comes to India.